4" combustion air fitting picture. See all kinds of pictures dedicated to this topic on this page. 5 gallon bucket combustion air. This one doesn’t work. Find a solution on this page. 6 " duct for water heater combustion air. 6” could be too big. Adding a cold air return basement. Adding a return in basement to take out humidity. Air conditioner duct weak air flow. There can be several issues with your HVAC system, learn how to fix some of them on this page. Air conditioner not reaching the bedrooms. Basement fresh air duct lots of air. Learn how to reduce it on this page. Get all the info on this page. Galvanized ducting for oven fan. Goodman furnace adding a humidifier. Guide of putting heating ducts together. 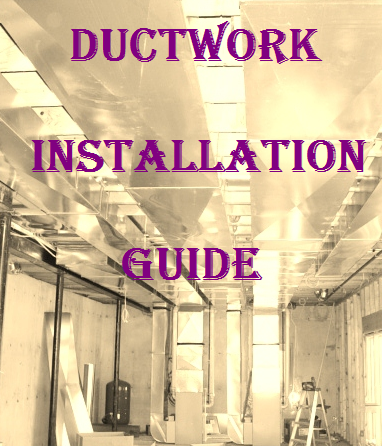 Learn how to put ducts together on this page. How to build furnace plenum? You can purchase it at you local tin shop. How to build hvac ducting? You can purchase it at you local tin shop or right here on this site. How to calculate correctly the furnace offset? You can buy a chapter from my Kitchen Remodeling Edition and find it out for yourself. How to make sure if I have enough returns in my finished basement? After you install your returns. Leave the basement door slightly open. Run the system. See if the door blows open or closed, or doesn't move at all. If it blows open, you need more return, if it closes, you have too much return in the basement. If it doesn't move, good chance you have very close to the amount of return you need for the amount of supplies in the basement. How to remove ductwork dampers in finished basements? You have to disconnect the heat runs. How to tell if your ac ductwork needs to be sealed? Hvac, can I raise my return grill from the bottom of the wall to the top of the wall? Hvac registers cut into ceiling tile. I always hear a loud bang in my basement. I built an addition to my house but can't attach to furnace duct work. I dented my duct work. Install an additional return air. What a material needed for adding a flex duct to a a/c return? That pipe is there to let you know there is a problem with your a/c unit in the attic. When the primary condensate backs up, or the unit overflows for any other reason, there is an auxiliary drain pan under the unit to catch that overflow, and that drain line is draining to where you will see it and call the a/c contractor. Why is airflow suddenly bad after furnace replacement? Ask your installer, he should know it better and send me some pictures so I can publish them on the Wall of Shame page. Why there is a whistling in duct work when heat is on? Will insulation keep duct work from ticking? Will popping noise stop in metal duct when furnace is on. No. It will go on and off every time furnace started. 15. Can Your Crawl Space Breathe? 16. Is There Water In Your Crawl Space?